Last week, we looked at the details of Steve Fossett’s disappearance and crash but there were some issues I just couldn’t fit in. This week, I want to look at some of the loose ends and questions … and also the questions brought up in the comments. Did hypoxia or some other impairment play a role? How healthy was Fossett? FAR 91.211 says oxygen is required if at cabin pressures of 12,500 feet for 30 minutes; I’m wondering whether some combination of age (63) / health and the huge gap between real and pressure altitude could have produced enough hypoxia to affect his judgment or even his flying skills. Because the remains were not found until a year after the crash, it is unlikely we will ever know whether Fossett was impaired at the time of his crash, there just isn’t enough left to be able to tell. He could have been suffering from anything from a heart attack to hypoxia in the last phase of the flight. His last medical was second class (commercial pilot) and issued 14th Feb 2007, less than a month before the crash. The only restriction was “must have available glasses for near vision”. Certainly the radar track shows the flight at an altitude high enough that it is possible that Fossett was impaired with hypoxia. One of the benefits of Fear of Landing is that we have a lot of smart people in the comments who have weighed in on this. I’d think density altitude would also affect oxygen availability. For physiology it’s pressure altitude that’s important, not density altitude. Density altitude is a function of pressure altitude and air temperature. The outside air temperature is important for the performance of the aircraft. But inside your lungs, the air temperature is pretty much equal to body temperature regardless of outside temperature. Thus, outside temperature is not relevant to the amount of oxygen the pilot gets. By the same token, atmospheric humidity impacts engine performance but not pilot — inside your lungs the humidity is always 100%. The effects of oxygen starvation are becoming more pronounced with age and it will take longer to overcome the effects of alcohol consumption or a health problem. Insofar as I am aware (I am not a member of the medical profession) a lack of oxygen in the blood can have a more prolonged effect at higher altitudes, even if the person was technically totally sober at ground-level. Even a slight cold, or fatigue, also can exacerbate the effect of hypoxia. This need not mean that the pilot was incapacitated but it can have an effect on the reaction time and even the accuracy of responses. Why were there no emergency transmissions? I’m also wondering how durable ELTs are supposed to be; since they don’t record anything, I can understand not being as durable as “black boxes”, but the ones I remember were small enough that they should not be easy to crush. In the US, most general aviation aircraft are required by law to carry Emergency Locator Transmitters (ELTs) although they don’t require FDRs or CVRs. The ELT is a self-contained, battery-powered beacon which is triggered by deceleration during a crash. Apparently, there have been a lot of problems with ELTs in terms of both false alarms and non-activation. 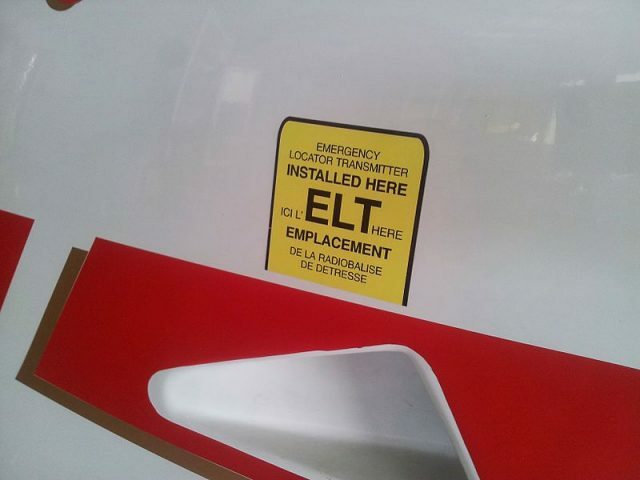 NASA’s evaluations of ELTs in the 1980s found that 95% of all ELT activations were false alarms and when actually needed, only 25% of ELT operations were successful. By 2013, they found that 40-60% of ELT operations were successful in “high g-force accidents” reported between 1993 and 2012. In a later study published in 2016, NASA reported on the results of testing ELTs in Cessna 172s at the Landing and Impact Research facility. I almost don’t want to tell you about it, because it would make a great article on its own! They connected multiple ELTs onto three different 172s and then dropped the planes from a great height to see what would happen. The results of the testing were that the majority of the transmitters “performed nominally” which isn’t a phrase I know*. It appears to mean something like ‘satisfactory’ or ‘within acceptable parameters’? Certainly, going over the individual results, it is clear that ELTs are still far from 100% reliable. In the case of Fosseett’s Super Decathlon wreckage, the ELT was destroyed on impact. The description from the accident report is oddly poetic. …numerous pieces of its orange plastic case and internal circuit board components were found scattered in the debris field. Fossett also owned a Breitling Emergency Watch with a micro-transmitter which is apparently popular with pilots (news to me!). Breitling told Wired magazine that Fossett was not wearing the watch when he disappeared. However, they did not seem to have any information to back this up other than there was no emergency signal. To their credit, it wasn’t found with the other items near the crash. Why were the human remains so far from the wreckage? When the hiker discovered Steve Fossett’s pilot certificate and a stack of hundred dollar bills, he had not seen the aircraft at all. The police investigated the area and nearby they found more traces: a pair of tennis shoes, credit cards, a driving licence and two large bones. It was a half mile further that they finally discovered the crash site. The aircraft disintegrated on impact. The cockpit with Fossett’s seat was crushed. The pin for the ermgency release handle was still in place. It seems unlikely that Fossett could have survived the crash and moved away. The Madera County Sherriff’s department said that they believed that Fossett had died on impact and then an animal had dragged him away from the crash site. However, a Wildlife Management Specialist (which I think means a ranger) told the press that he didn’t believe it. I’m pretty sure that didn’t happen. Bears are too lazy to make that kind of effort, and coyotes and mountain lions wouldn’t have to move you. You’re already in the middle of nowhere, right in their backyard. Animals were certainly involved at some point, as the tennis shoes and the driving licence had animal bite marks on them. But it does seem odd that they would drag the body out of the wreckage and 2,250 feet (685 metres) before abandoning it. The Sheet’s 2009 article points out that the location where the remains were found was where the helicopters landed to explore the crash site. Following the path of the items found at the scene — the money, ID cards and sweatshirt — leads one to just about the exact point where the Blackhawk helicopters landed not far from the crash site, a location Fossett himself would have tried to reach instinctively. (Fossett was reputed to be a skilled survivalist, with a great deal of training that he had used to survive numerous other incidents.) The plane and some nearby brush burned, sending a plume of black smoke into the air, and one theory posits that Fossett may have thought someone saw it and used it as a beacon for a rescue effort. However, the same article also argues that Fossett should have filed a flight plan so take that as you will. What went wrong with the crowd-sourced search? I just spent some time searching online and can’t find any analysis of the crash site satellite images in order to help us understand why the crowdsourced search of images didn’t work out. Was it because the fabric burned and the frame was basically invisible? It sounded like maybe there was a brush fire – was that not visible in the satellite photos? There was certainly a fire but the blackened area was not visible to the search planes either, so it can’t have left substantial damage visible from the air. The crash site was on a slope where, depending on the time of day, it probably appeared as either dark terrain or, with the sun lower in the sky, with harsh black shadows from the pines, which would make it hard to spot any of the burnt bushes. This photo taken by John Wiley in 2010 includes some mark-up of the landmarks surrounding the crash if you hover over the photo. This one shows the areas of dead trees nearby, which might have been caused by the fire showing how hard it can be to see anything much at all, even at close range. Still, flying over this terrain, you can understand how a wreck might be lying right under your nose but go unnoticed for decades. “People think Nevada is a big flat desert, but it’s the most mountainous state in the U.S.,” says Cynthia Ryan. Indeed, Nevada encompasses 314 named mountain ranges, and it has more peaks over 10,000 feet than any other state. Though it’s the seventh largest state in the nation, it’s the eighth least populated, and no wonder: It’s a buckled, folded, twisted labyrinth of sheer slopes and jagged volcanic rock. The article also mentions that the Civil Air Patrol was receiving up to 500 calls a day from people who thought they’d sighted something important. CAP also received 30-40 emails claiming to have found the Super Decathlon, attaching a satellite photo which showed an aircraft searching the area. Wired wrote a few articles on the crowd sourced search, with an analysis after the fact: Online Fossett Searchers Ask, Was It Worth It? which talks about the problems that the users had. The most important change Amazon needs to make for the future, Barbalace says, is that the interface ought to offer a way for searchers to toggle between the image they’re given and an image of the same section prior to the date of the search target’s disappearance. That would have helped volunteers know whether the things they were spotting were new. Meanwhile, it’s clear that no one understood the volume of calls and emails that they would receive or the importance of quickly whittling them down to reports that were actually useful. There have been various quotes by Civil Air Patrol Major Ryan in the media saying that they were inundated with leads and had to treat them all seriously. He wasn’t trying any stunts and if any problems had come up he would have called for help. A person couldn’t help but wonder that this guy could have been attacked by an inside man. Someone could have hid out on the plane and waited for take-off 2 jump him and take Mr. Fossett to another area and murder him. The guy would then camoflage the plane and leave the area with his henchmen if he has any. How long can you fly in a plane like that on 4-5 hours of fuel. Did anyone check whether he refueled anywhere? Check credit card receipts? There are some dry river beds in Southern Arizona… could he be in Mexico border mountains. Some said he headed south. Is there a chance he does not want to be found? Maybe he has a relationship with a senorita somewhere? To add to the theories… this stuff is all over the news, why not him? The article received about 40 comments before they were closed, each of them espousing a very specific theory as to what happened and how, with varying levels of sanity. If this were attempted again, it would involve algorithms looking for cross references between users and probably a filter to downgrade those users who reported too many anomalies. But it has to be hard to know how to reduce the volume of the crowd to a dull roar without risking throwing the baby away with the bathwater. What about the other wrecks? At the time, searchers believed they had identified eight unknown wrecks in the area and this number is still often cited in articles about the aftermath. At the time, they were hoping that Fossett may have survived the crash in which case he would likely need urgent medical attention, so as soon a site was confirmed not to be the Super Decathlon, they moved on. However, after the initial search had ended, the sites were investigated and it was found that there were only three unidentified wrecks found during the search. The others were duplicates or wreckage which had already been documented. Of those three, one is believed to have been the remains of Charles Clifford Ogle, who disappeared in the area forty years ago. He departed Metropolitan Oakland International Airport in a four-seater Cessna 210 on the 12th of August in 1964. His family did not know what his destination was, although in 1985, William Ogle found his father’s mistress, who said that he was heading for a business meeting in Reno. I struggled to find out any more about this or the two remaining wrecks until I found this NYT article from 2007. The Air Force destroyed all records from unsuccessful searches for aircraft missing before 1989, which is likely to make it much harder for Nevada investigators to determine the victims of three wrecks found in the recent search for the aviator Steve Fossett. One resource that had been expected to help in the inquiry was “suspended mission files,” kept at Tyndall Air Force Base in Panama City, Fla. Those files are the paper trails of all failed searches for missing aircraft by the Civil Air Patrol, a volunteer Air Force auxiliary group, or any other Air Force resources. But in 1994, the Air Force instituted a regulation requiring the destruction of records of noncombat missions after seven years. At that time, officials say, personnel at Tyndall destroyed suspended mission file records up to 1989. The article goes on to say that there were just eighteen failed missions, so the paperwork can’t have taken up all that much space. Why the files weren’t digitised and saved is a mystery. What’s the deal with the Nevada Triangle? There’s an area around the Sierra Nevada Mountains that is referred to as the Nevada Triangle, spanning from Las Vegas, Nevada in the southwest to Fresno, California in the west and Reno, Nevada at the top. The area includes Area 51, mixing UFOs and government secrets to the many stories of missing planes in the area. The reputation started with B-24 Liberator bombing from the 461st Bomb Group which disappeared with six crew on the 6th of December 1941 on a routine training flight from the base at HJammer Field in Fresno. When they didn’t report back, a squadron of B-24s departed Fresno on a search and rescue mission. One of the second set of bombers then went missing. Two of the crew were found near Huntington Lake and said that the pilot had ordered the crew to abandon the aircraft but they were the only ones who survived. The aircraft and remaining crew, still sat at their stations, were finally found in 1955 when Huntington Lake was drained. Apparently in the high winds and turbulence, the B-24 began to lose hydraulic pressure. The captain probably confused the snow-covered lake for a clearing but at the time, the lake was not frozen. 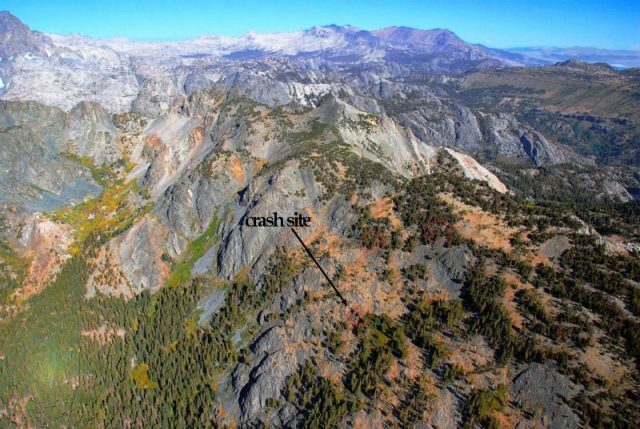 Five years later, the first B-24 was found in a remote section of the High Sierra in 1960 by geological survey researchers. Over 130 light aircraft in the past 50 years have crashed in this area and there’s no question that the strong winds, high density altitude, fast-changing weather and rising terrain of this area have proven a challenge to many aviators. What the heck is an ATPC? PS: Fossett’s qualifications are listed as him holding an “ATPC”. Ihave never heard of such a licence. Usually it is known as an “ATPL” or “ATP” in the USA. Is this something new? Rudy’s right: Fossett’s qualification is listed as an ATPC (Airline Transport Pilot Certificate) instead of the more common ATPL or ATP. I was intrigued that the headline of the page refers to Airline Transport Pilot’s License while the body of the text refers to Air Transport Pilot Certificate. Both are used completely interchangeably throughout the main text. I did some digging around the FAA website to see if I could see any reason for the two different qualifications. I found that they refer to an ATP certificate when describing the Pilot Training available as well as in other areas of the FAA website. However, when it comes to the Civil Aviation Regulations, the FAA refers to the ATPL in the section on Personnel Licensing with no matches for ATPC. Then I found another document under regulations and policies which specifically referred to the ATPC instead. The only thing I can tell you is that in no reference on the FAA website where both ATPL and ATPC listed, it’s always either one or the other. A bit of consistency sure would be nice, though! *Please see the comments for Rebecca’s explanation of the phrase ‘performed nominally’. 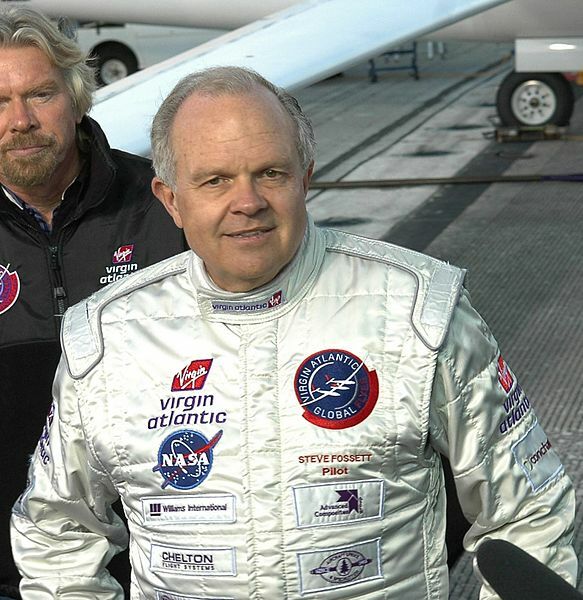 In the end, this post is longer than the original article on Steve Fossett! But it was a lot of fun to do and, to be honest, I enjoyed having the chance to explore different aspects without worrying about trying to stay focused on the primary cause and effect. “In NASA speak, you have things that work perfectly (i.e. Exactly dead-on and normal), and things that are not normal but still within acceptable and expected ranges – which is the “nominal” status. Ah hah! Thank you, that makes perfect sense in this context. I’ve edited the post to point out your explanation. I enjoyed the follow up article. You should definitely consider doing more. All theories are plausible. I have some (admittedly limited) experience flying SE aircraft in mountaneous terrain. Even trailing a banner behind a Super Cub over Garmisch-Partenkirchen. Where I encountered downdrafts that forced me to return to Jesenwang, a small aerodrome west of Munich. I could not maintain altitude, even at full power. I don’t remember my altitude, I was not all that far off the ground but I may have been at a pressure altitude of 3000 ft.
To re-cap: Even apart from pressure altitude, the aircraft had been cruising at 15000 feet if I read it properly. This would have been at the knife’s edge of the aircraft performance and any upset could have caused the aircraft to stall. In that rarified air, recovery could have caused a significant loss of altitude, far greater than at sea level. Which required some space below the aircraft which would not have been available. Other possible additional factors may have been that Fossett was trying a turn to clear the terrain. We all have learned in flying school that in a turn any aircraft will suffer a loss of lift. Normally not a big deal if the speed has a sufficient margin above the stall speed. But with the aircraft riding at the needle-pin of the stall speed, my bet is that there was virtually no margin. And then, any wind can cause up- and downdrafts. And again, with little or no margin left the accident was inevitable. Was hypoxia a factor? We will never know but it could well have been another contributing factor. Slower and not totally accurate reactions, underestimating the danger. Hypoxia is very similar to being drunk, only the cause is different. I do not want to cast a slur, I do not want to suggest that Fosset was drunk but in both cases it is a matter of sufficient free oxygen in the bloodstream. Rebecca is right. The expression “nominal” is often used to signify some, not quite determined functionality below the “normal”, rated performance. Would an ELT have saved Fossett’s life? Very doubtful. My guess is that he died at the scene, either on impact but probably not long after. A tragic loss of a great pilot. Sylvia, you got me there ! And yes, I have to confess that most of my reactions are from memory only. You may be the judge of that: I think that it may lead to a more informal write-up. But sometimes it could also cause a less informed one. But then, many years ago an Aer Lingus Vickers Viscount crashed into the Irish Sea, there were no survivors. There still are people who are convinced that it was brought down by a missile, a drone or an artillery shell that went off course. Recovery of the wreckage and the investigation were all done by British agencies, Ireland did not have the resources at the time. Which even to-day is considered by many to have given the British investigators carte-blanche for a cover up. And yes: reading any old reports in favour of this theory would seem to confirm that it was “plausible”. Of course, the side that denies this has equally plausible arguments. But I agree, Sylvia: the theory that Fossett was shot down is not plausible.